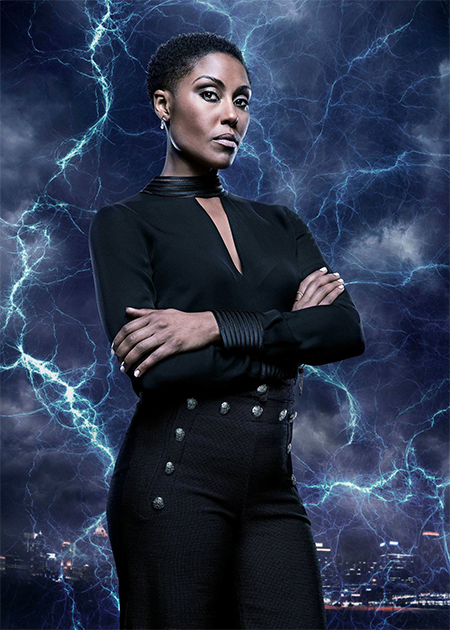 Christine Adams stars opposite of Cress Williams as Lynn on the CW’s newest DC Comic series Black Lightning. Prior to this she starred alongside David Schwimmer and Jim Sturgess on the AMC series Feed The Beast. The versatile British actor recently portrayed Agent Weaver on the hit ABC series Marvel’s Agents of S.H.I.E.L.D. Adams also starred on the ABC series The Whold Truth as Lena Boudreaux opposite Rob Morrow and Maura Tierney, and the Fox series Terra Nova opposite Jason O’Mara. Her many recurring roles include playing Lena Abbott on CBS series The Mentalist, Hani Jabril on the TNT series Legends, Simone Hundin on ABC’s Pushing Daisies. Some of her many guest spots include appearances on CBS’ Pure Genius, BET’s Real Husbands of Hollywood, ABC’s Castle, FX’s Nip/Tuck, CBS’ NCIS: Miami, NBC’s Heroes, and FOX’s Lie to Me. Adams starred in the Lifetime film Bad Blood, directed by Adams Silver and opposite Taylor Cole, Jeff Kober, and Carly Chaikin. Her other film credits include the hit films The Girl With The Dragon Tattoo, Batman Begins, Tron: Legacy, Green Glash, and The World Is Not Enough. Adams has recently written, produced, and starred in a comedy pilot called Dirty Work, which she really enjoyed and hopes to develop in her hiatus. Adams worked extensively back in her native United Kingdom, including starring roles in the hit Channel 4 Series NY-LON and BBC1’s Home Again. Other television credits in the UK include guest appearances on the cult show Doctor Who and the Hugh Laurie comedy Forty Something. A native of London, England, Adams always wanted to be an actress and studied at Middlesex University. She currently resides in Los Angeles with her husband and her 2 daughters. Beyond the entertainment industry, Adams has recently began working with United Friends of the Children, an organization that empowers foster youth on their voyage to self-sufficiency. She is also a strong advocate for SPY – Safe Place for Youth – a local organization that inspires and nurtures the resilient human spirit of homeless youth in Venice, CA.